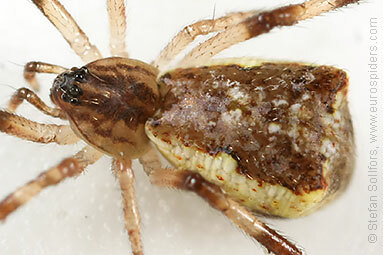 Young female Episinus angulatus. Close-up of the body. 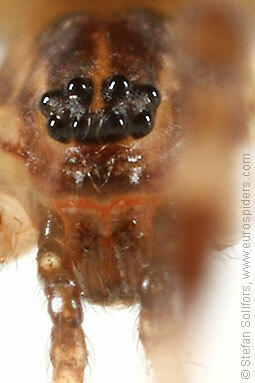 Close-up of the eyes of a female Episinus angulatus. 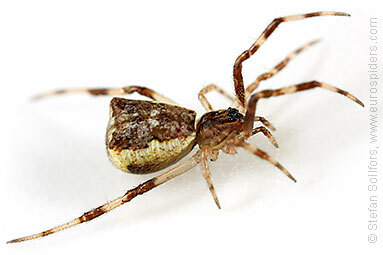 Young female Episinus angulatus from below. 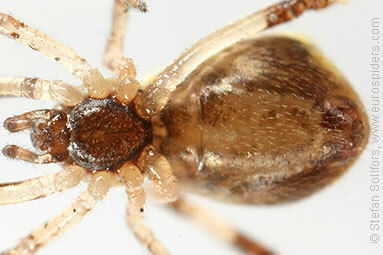 Young female Episinus angulatus, about 3 mm. 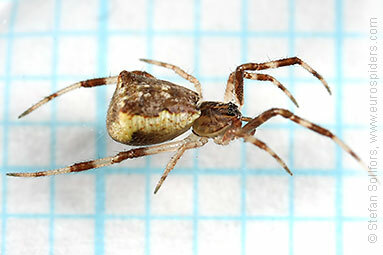 Episinus angulatus is a small spider with an unusual abdomen. It has got corners at the back.